Forged from select alloy steel to withstand high-leverage and heavy loads. Extra heavy-duty head area gives maximum strength and durability. Continuous taper of handle makes lining-up bolt holes easy and works on a range of bolt and/or hole sizes without binding. Extra-large hub area works more effectively on larger diameter holes than other wrenches. 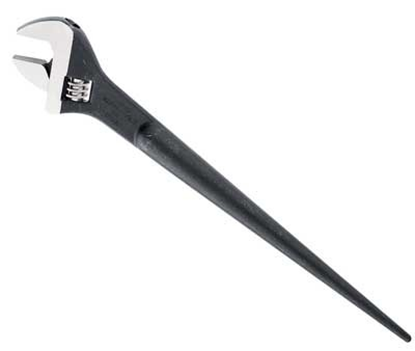 Bolt size and nominal opening size are stamped on every wrench for easy identification. American Bridge design.